Homelessness happens to ordinary people and it can be devastating to the lives of those who experience it. There are long-term consequences beyond housing: physical and mental health, financial stability, education, employment and self-esteem are all affected. work tirelessly to mitigate the impact of youth homelessness throughout Nottinghamshire and Derbyshire. 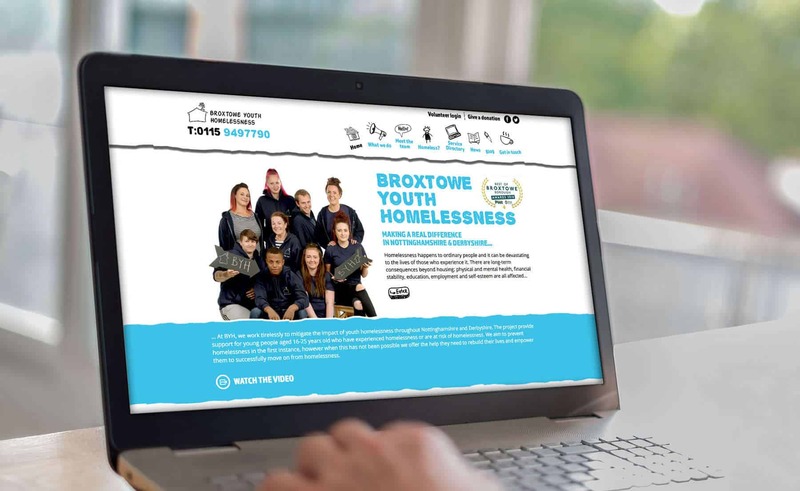 Broxtowe Youth Homelessness needed a site that was easy to navigate, and included information on all the services they provide to the local community. Understanding the message and aim of the site, we created a fun, interactive and very visual design. With easy site navigation and imaging. We brought their website to life in WordPress and helped them create more awareness of homelessness.